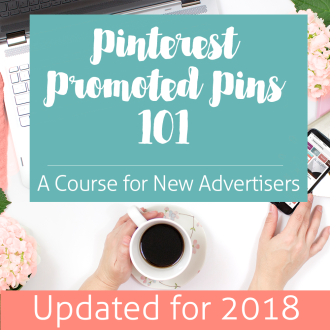 Looking for a way to quickly launch a Promoted Pin campaign that gives you lots of impressions from the get go? Dynamic keyword targeting may be for you! 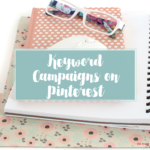 What is Dynamic Keyword Targeting on Pinterest Ads? 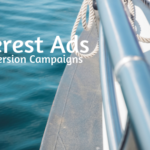 It’s a setting at the ad group level that allows Pinterest’s Taste Graph to choose relevant keywords for your ad. No keyword research needed! 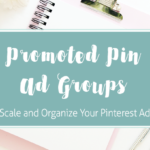 Promoted Pins using dynamic targeting will only appear in search results and related Pins (as opposed to Pinners’ home feeds). 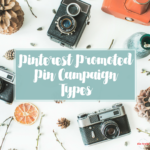 To understand how Pinterest chooses these “relevant searches” for your ad, it’s helpful to understand Taste Graph and how Pinterest “sees” Pins. Taste Graph is basically Pinterest’s machine learning. 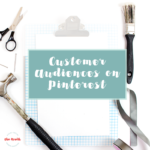 Each time you engage with a Pin, Pinterest learns a bit more about you and what you’re interested in. That’s the way things you weren’t exactly looking for (but love anyway) appear in your feed – helping you discover new ideas. Take a look at the related Pins on any given Pin. What do you see? The similarities between the selected Pin and the related Pins range from color scheme, to visual elements, to subject matter. 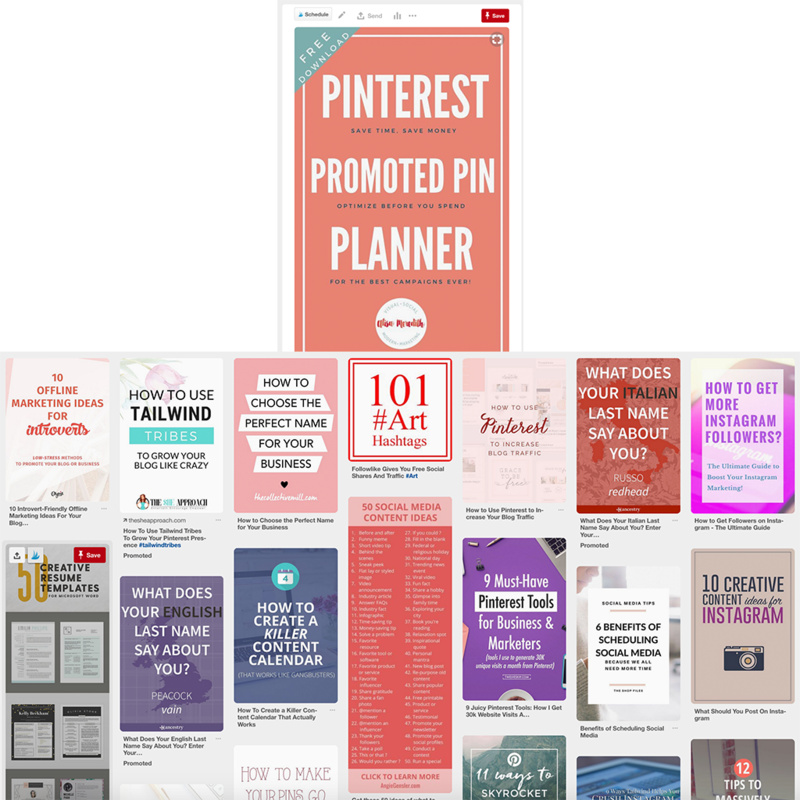 What we get is an interesting mix of Pins related by subject matter and by visual. For me, it’s worth it to spend the time to identify the actual keywords people will be searching when they want to find my Pin. I do not want my Pin with the bicycle background which is really about Pinterest to show up when people search for bicycles! There is a BUT, here though…. 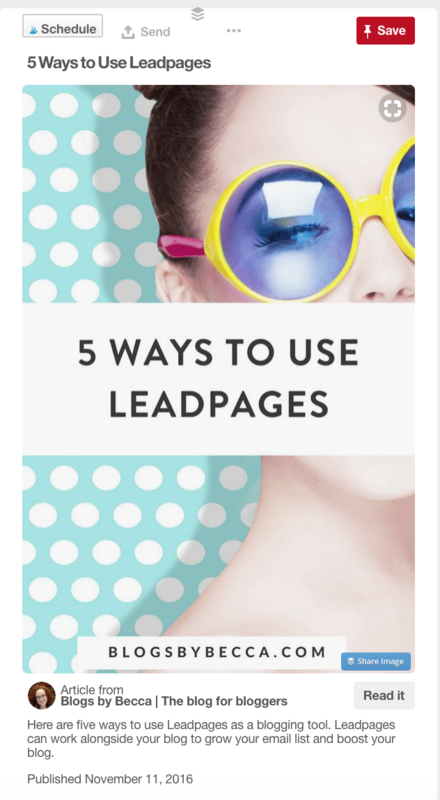 Use Dynamic Targeting for Blog Posts – Sometimes! 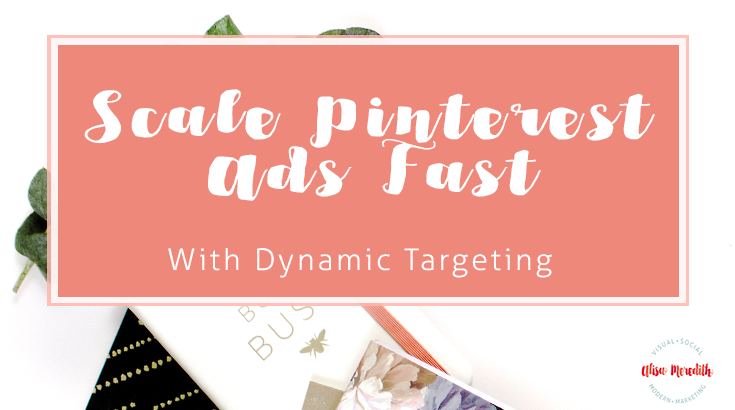 Dynamic targeting could work on your non-product Pins if Pinterest has enough clues about what the image REALLY is. So, when I want to decide which Pin would be a good candidate for dynamic targeting, I look at the Pin’s related Pins. If the related Pins make sense, I’m fairly confident my Promoted Pin will be displayed in a way that will make sense. If, on the other hand, the related Pins are waaaay off base, I skip that ad group! 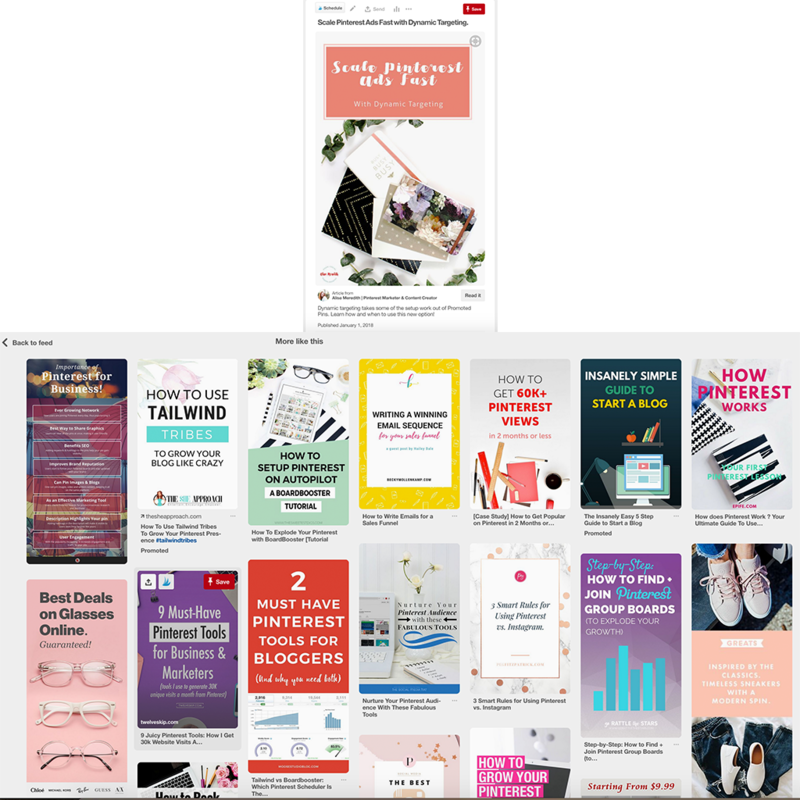 This is not a technique that Pinterest has published – I’m just assuming that by looking at related Pins, I’m getting an idea of how Pinterest sees my Pin. So far, it seems to be the case. In this case, it looks like the signals I’m sending with the Pin are just a little bit to vague for them to get the real picture. 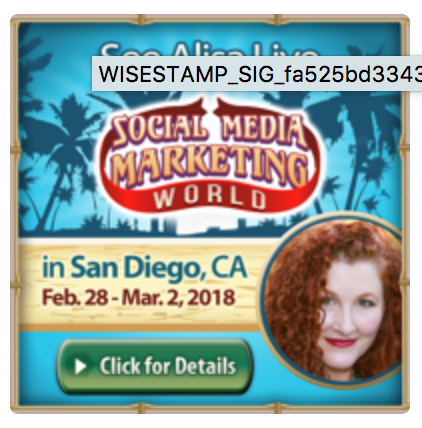 It seems to be more about the composition of the image than the subject matter, so I wouldn’t use dynamic targeting to promote that Pi. 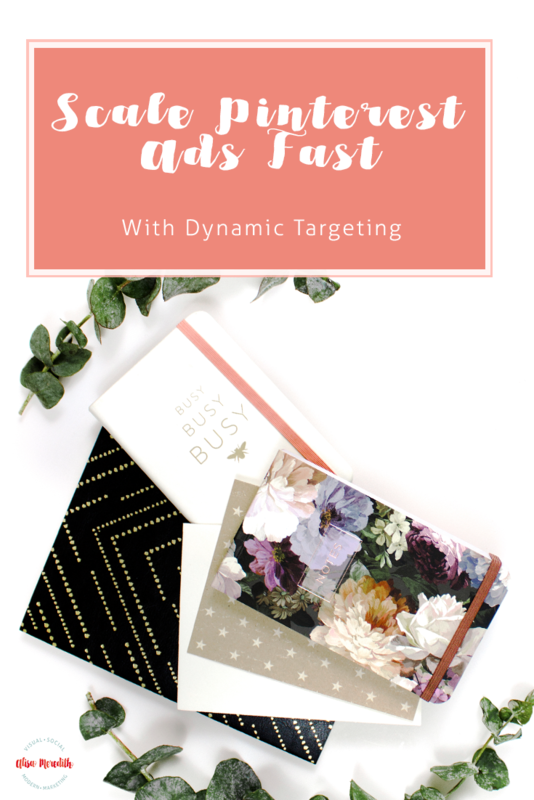 Oh, and I never JUST use dynamic targeting – it’s just one of several ad groups I start with. 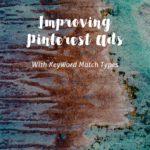 Give Pinterest just a couple of broad match keywords to give the algorithm another hint about what your image really is. Two to four should do it – and they should be as relevant as possible. You’re not trying to cover all the bases – just giving Pinterest a little help in choosing for you. OK, then! As always, it’s important to test and review your results regularly. 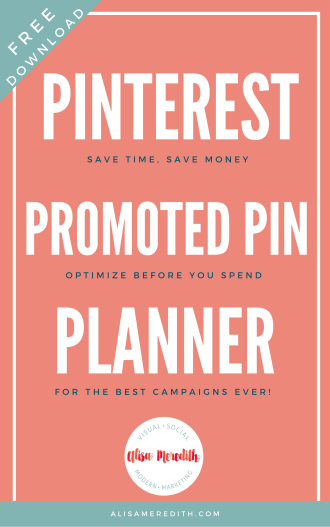 Want more tips like this to help you make the most of your Promoted Pins? 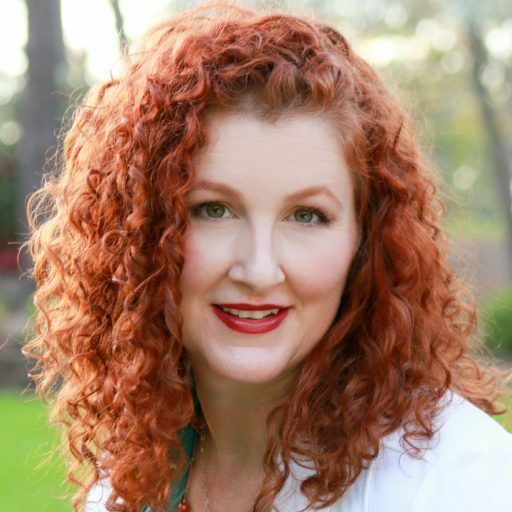 Check out my newly-released Pinterest course. When you sign up, you’ll get access to my private Facebook group where I share all kinds of little finds like this as soon as I learn them!